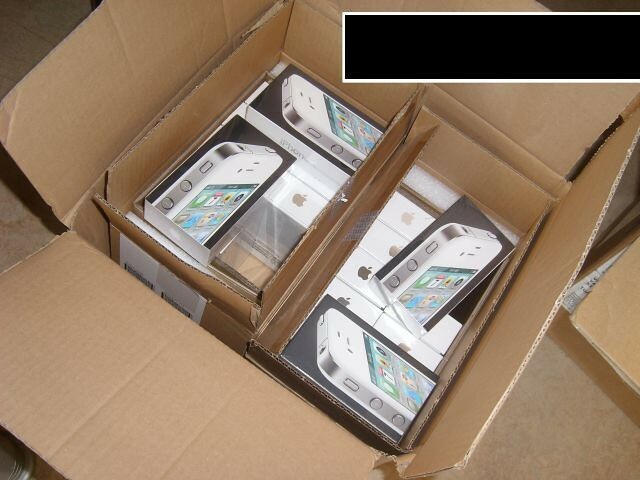 iP3: You can buy an official white iPhone 4 now… If you’re in Belgium! You can buy an official white iPhone 4 now… If you’re in Belgium! That precious white iPhone 4 which was just a pipedream? As of today, that’s over. If a small Belgian retailer called Van Roey is to be believed, first batch of the mythical device could be shipping to retailers in Europe as we speak. This particular retailer snapped up the above image as a photographic evidence of them having received and stocking the sought-after unit. They are apparently selling both the 16GB and 32GB white iPhone 4 model via their web store and shipping them within the Benelux region. Anyone from Belgium who can confirm this finding? Meet us in comments.